Honest, reliable, hard working man that is really going to fight for you and your case. Took really good care of me and handled my situation with ease. Definitely worth it people!!! After 29 years of marriage, I found myself headed towards divorce. It was a difficult time for me yet Mr. Bryan handled everything with compassion and efficiency. He was very detailed in his responses to my many questions. He was knowledgeable of the the state and court proceeding and kept me informed at every stage of the process. I completely trust him and would not hesitate to use his services again or refer him to my friends or family. Mr. Robert Bryan is an excellent attorney. In my case I was flat out guilty. Frankly I expected to do a little time behind bars. Mr. Bryan assured me that he had a strategy to eliminate that possibility. He explained our plan of action, answered all legal questions with uncanny accuracy. Even those irrelevant to my case. In the end I received a 90 suspended sentence for assault & battery. Did I mention that I have priors? If you have legal issues I recommend Mr. Robert Bryan…even if you’re no angel. It was truly a pleasure having Attorney Robert V. Bryan Jr. represent me. He was amazingly knowledgeable, responsive, sensitive to my issue, and kind. Without reservation, I recommend this attorney. Mr. Bryan’s excellent counsel enabled my husband to avoid jail time and kept our family together. He listened to our case, provided outstanding legal advice, and supported us through a very difficult time. Not only did Mr. Bryan immediately identify a potential defense strategy, but his calm demeanor and willingness to listen to my husband, helped us understand the legal options available to him and allow for the best possible outcome. I would recommend Mr. Bryan to anyone that needed the support of an excellent criminal defense attorney and someone to best represent his or her interests. Mr. Bryan was professional, knowledgeable, approachable and a strong advocate. He responded in a timely fashion to my calls and emails. He answered all my questions and ensured that I was updated on my case. He listened carefully to my account of the particulars in my case and asked pertinent questions. And more importantly, he remembered the specifics of my case. I felt like he was interested and committed to me as an individual, not just as another nameless client. I would recommend him whole heartedly to anyone who needed a lawyer. I thanks him for doing such an excellent job for me! When I consulted with Robert Bryan, I had a misdemeanor charge, that was driving me crazy with worries. For someone who had never had such a judicial challenge in the past, this was nerve wracking for me. However, the moment I spoke with Robert Bryan on the phone, I felt a weight lift off my shoulder. His experience, expertise and competence was revealing. In addition, his fees for someone with a tight budget was just excellent. He provided me with me all the legal support through out the process right up to when the case was dismissed. Above all, he refunded 50% of the fees, when the case was dismissed. He is an excellent and companionate lawyer. I will make use of his services in the future, if I ever get into trouble again. I strongly recommend Robert Bryan if you need an experience, competent, and companionate lawyer. Mr. Bryan was cool ,calm and collected. He understood me and the nature of my case. His advice led me to victory. Robert was a great asset during the process. If he didn't answer the phone, his receptionists would always take a message and he would call back at his earliest convenience. I was extremely nervous about the outcome of my case, but Robert pointed out the fact of reasonable doubt and negotiated a very favorable plea! Instead of having to go through the 251 first time drug offenders program, which can't be expunged, he reduced it all to 20 hours community service. And the best part? My case was Nolle prossed, which means I can expunge this off my record! Never having been in trouble with the law before, I was very pleased with the way Attorney Bryan handled my case. He is a kind and understanding lawyer, while still maintaining a level of professionalism that really put me at ease. After having explained all the possible outcomes, he clearly defined what the most likely outcome would be, but was still determined to pursue the best possible outcome. Needless to say, he did a wonderful job and obtained the best possible outcome for me. I would highly recommend his service! Thank you attorney Bryan! I hired Mr Robert Bryan sight unseen to help me resolve a serious traffic violation in Virginia. I reside out of state and it would have been a major problem to make a court appearance. Mr Bryan treated me in a highly professional and courteous manner and was quickly responsive to my questions and concerns. He succeeded in having the charges dismissed, and unexpected and great result, beyond my hopes and expectations. I would highly recommend him to anyone facing traffic or criminal charges in Virginia, I feel very lucky to have found him. Robert assisted me with a traffic matter in 2015. He is courteous, knowledgeable, and a highly motivated advocate. Bryan was absolutely wonderful through the whole process even despite the circumstances. He really eased my fears while always keeping the situation and outcome realistic. He made himself readily available and immediately took action while the whole time being really kind and understanding. I could keep going on and on about how happy I am with the outcome and the results but the easiest way to say it is I definitely recommend him! I never thought I'd need an lawyer but when I did, I called Robert Bryan. I couldn't be more satisfied with his professionalism and performance. He was friendly, had an extensive knowledge of the law, he took my case seriously. He didn't treat it as a paycheck. He was compassionate and cared about the case. Kept in touch with me and kept me informed. If I ever need a lawyer again I won't hesitate to call Robert Bryan. If you are looking for someone to take your case seriously and handle it with the up most pride and professionalism then Robert Bryan is the lawyer for you. Robert was always in contact with me and help me get my ticket dismissed to keep my driving record clean. With Mr. Bryan the process was easy and affordable and sense I was from out of state I was able to trust him to get the job done for me. Great Lawyer. During my entire experience with attorney Robert Brian I was kept informed, and felt comfortable with him leading my case. He personalized the experience for me and worked around my schedule as much as he could. He is also more knowledgeable and seems to work the system quite well. I would definitely recommend him. Attorney Bryan was the best. I would highly recommend him and I would definitely hire him again. Attorney Bryan accepted my nephew's case and willingly allowed me to make payments on a payment plan. He went over and beyond to meet with my nephew who was incarcerated. Our family was pleasantly pleased with the outcome of the case. Much integrity on Mr Bryans assistance. I'm completely satisfied with his efforts in communicating with me along the way in preparing us for my court day and entertaining all possible scenarios without promise of any outcome. Mr. Robert V. Bryan Jr.
Robert V. Bryan Jr. was simply phenomenal!! He represented my son in a (drug) criminal case. I was impressed with his demeanor and professionalism throughout the case. Mr. Bryan kept me and my son informed of any curve balls that may possibly come our way. He answered all my questions and was very confident about the case, his confidence put me at ease, therefore I knew my son would get the best representation ever, and he did! Mr. Bryan is a cut above the rest, aggressive in the court room! What I liked the most about Mr. Bryan is he was reachable, easy to contact and easy to talk to. He argues with perfect balance of logic, passion and confidence. I highly recommend Mr. Bryan to anyone, he is an amazing attorney, his work is OUTSTANDING!!! Mr. Robert is the best lawyer I have came across very energetic and professional and works very fast with fast and great result he is my official lawyer now!! I would highly recommend him to anyone for anything!!! 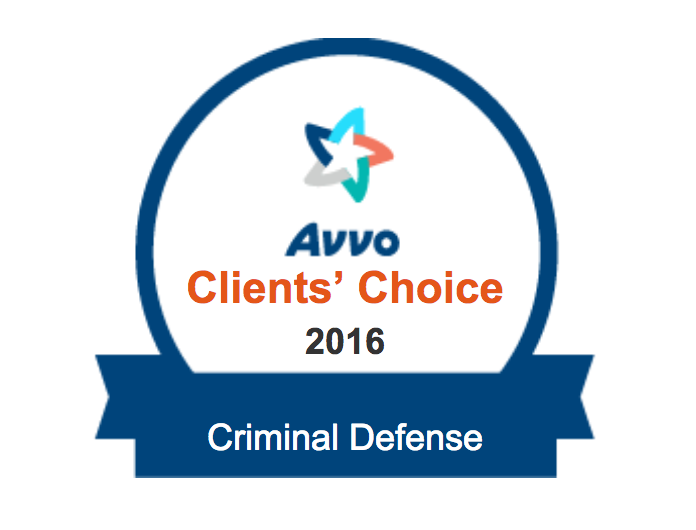 When I first came to Avvo, I had no idea which attorney I was going to choose. I am so glad I chose Attorney Robert Bryan. He kept me informed, and was very knowledgeable about my case which gave me a sense of comfort. When I was ready go give up, he fought for me, and I came out victorious! I would, and will recommend him to anyone who is looking for a great attorney! Mr. Bryan's excellent counsel enabled my husband to avoid jail time and kept our family together. He listened to our case, provided outstanding legal advice, and supported us through a very difficult time. If we had not had the services of the Simms Firm, my husband likely would have served several months in jail and paid a substantial fine.